At the end of a division's deployment a plaque is placed on the wall of the quadrants FOB. At least it is here at FOB Fenty. It's a day of remembrance and a day to remember the fallen heroes, those that gave their lives for our country. It is the ultimate sacrifice. I remind you, this is not a political statement. It's a reality. A job in service to your country, can end in death. 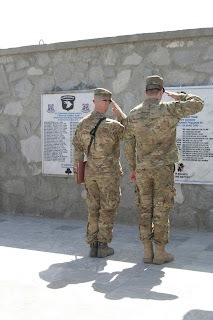 Each soldier has the opportunity to salute and honor the fallen. 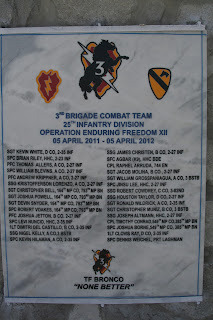 The Fallen of the 3BCT 25th Division, Broncos. 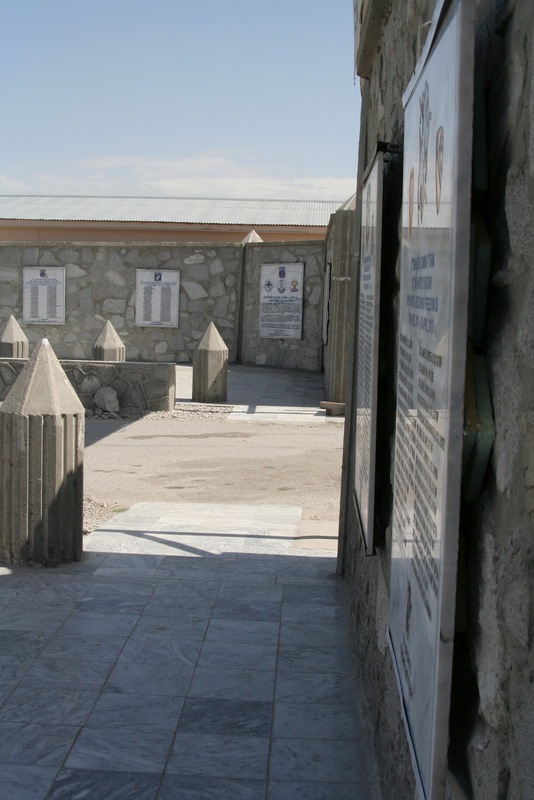 All of the memorial plaques from all the divisions who have fought out of FOB Fenty in OEF. SSG Vimoto stands next to the plaque of his son's division, 173rd Airborne BCT. 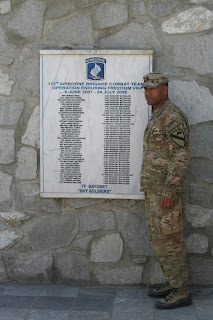 His son, gave his life for service to his country. I often wonder at the decision young soldier's make while in high school or out of high school believing this is the only opportunity that affords them...if they really understand the sacrifice involved.